Dialogue with Indigenous Peoples is a key component of what makes the Northern Ontario School of Medicine unique. Even before NOSM’s Charter MD Class was welcomed in 2005, the Northern Ontario School of Medicine was committed to improving the health of the peoples and communities of Northern Ontario. At the earliest stages of development, NOSM engaged the Indigenous communities of Northern Ontario as part of its mandate to be accountable to the social, cultural, linguistic, and geographic diversity of the region. The 94 Calls to Action, released by the Truth and Reconciliation Commission (TRC), urges all Canadians to work together to repair the harm caused by residential schools and move forward with reconciliation. NOSM addresses 19 of the 94 Calls to Action linked to health, education, language, culture, and youth. 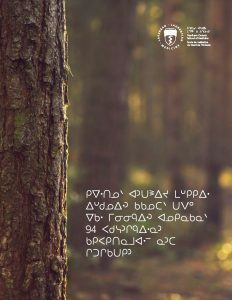 NOSM’s response serves as a living document accountable to all communities of Northern Ontario. Designed as a framework for ongoing work, the report will serve as a measure of progress with annual reporting to the NOSM community for input and guidance. In this way, the School will invite all collaborators for ongoing input as we continue to address the spirit and intent of the 94 Calls to Action.